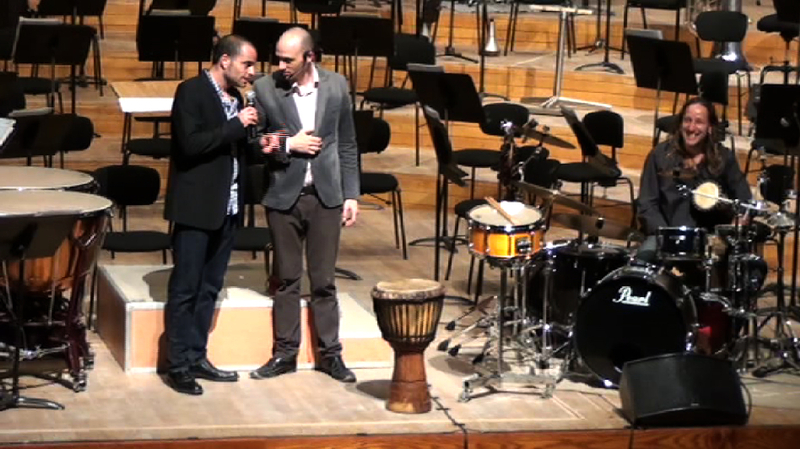 A collaboration with Salamandrum percussion duo: Tomer Yariv & Gilad Dobrecky. Khyba, Hebrew for fondness, or liking, is the word used to describe the Jewish sentiment of yearning for the land of Israel through the generations. The piece is inspired by Jewish melodies from Aden, Yemen, as memorized and sung by Margalit Oved. In its symphonic version Khyba was performed with the Taiwan National Orchestra and the Israeli Philharmonic. It's also performed as a duo piece in Salamandrum recitals, and as a percussion quartet/quintet by the Tremolo Ensemble.